The online natural hair community is growing by the day. There are hundreds of videos on YouTube that offer tutorials on styles, DIY products, and hair techniques. Indeed, learning to care for our manes has meant that we go to the salon less often. While I take pride in being able to care for my own strands at home, I still frequent the salon. Sometimes it will be to use their steamer for a deep conditioning session or to have a stylist install two-strand twists when I don’t have enough time to do them on my own. More times than not, I visit salons for a professional blowout and straightening for my annual length check and natural hair anniversary. Gone are the days when we would simply walk into the salon and leave our hair at the mercy of any stylist. Nowadays, the internet is full of salon reviews and descriptions of salon services. Prior to setting up an appointment at your local salon, find out more about its service offerings and portfolio of stylists by checking out their website or simply asking at the reception. Naturalistas now have growing access to stylists and salons that are dedicating all their services to curly-haired women. A simple search on our Salon Finder will reveal several that have specifically tailored their service listings to match the needs of women with natural hair. Now you don’t have to deal with a blank stare from a stylist who does not know what you mean when you say that you want a wash and go. You are better off having your hair done at salons or by stylists that specifically say that they do natural hair than those that do not. If you are going to use any type of direct heat on your hair at the salon, you should prepare by intensively moisturizing your hair before you go. If you are wearing an intricate style, you are better off preparing your hair with a protein treatment to better withstand manipulation. Before I have my hair professionally straightened for my natural hair anniversary, I prepare my hair by pre-pooing overnight using a mixture of coconut oil and a trusty conditioner. By morning, my hair is fully moisturized. Next, I bring products that I would like to be used on my hair during the styling process, specifically ones with moisture and protein benefits. If you’d like your stylist to use a particular heat protectant, be sure to pack it. 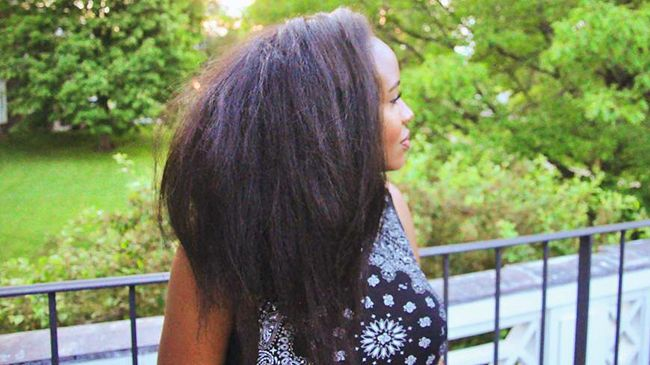 The bottom line is this: no one understands your hair more than you do! Always remember that even at the salon, you are still your own hair expert. When I set my appointment, I make a point to clearly articulate the procedures that I want done. I always go in with a clear idea of what style I want and how I want my hair to be done. If my hair is not being handled as I would like, I interrupt my stylist and let them know what I would like to be done differently. You know what makes your hair thrive and you should express that lucidly. Do you still frequent salons? If so, how do you prepare for your appointment? We’d love to know in the comments section below!